Before:- V.M. Kanade and P.D. Kode, JJ. Public Interest Litigation Nos. 56 and 97 of 2014 and Public Interest Litigation No. 95 of 2013 with Notice of Motion (L) No. 456 of 2014. D/d. 11.8.2014. For the Petitioners in C.R.P.I.L. 56 of 2014 :- Satyaprakash Sharma and Nitesh Nevshe i/b Nitesh Nevshe, Advocates. For the Respondents in C.R.P.I.L. 56 of 2014 :- S.K. Shinde, Public Prosecutor with M.M. Deshmukh, A.P.P. For the Petitioner in P.I.L. 95 of 2013 and N.M.L. (L) No. 456 of 2014 :- V.K. Raman, Advocate. For the Petitioner in P.I.L.L. 97 of 2014 :- Appearing in person. For the Respondent/State in P.I.L. 95 of 2013 and N.M.L.L. 456 of 2014 and P.I.L.L. 97 of 2014 :- Uma Ualsuledesai, A.G.P. P.D. Kode, J. - PIL Nos. 95/2013, 97/2014 and Notice of Motion (L) No. 456 of 2014 are not on board. Upon mentioning, they are taken on board and are heard and disposed of with Criminal PIL No. 56 of 2014.
which is organised during celebrations, which are held on occasion of birth of Lord Krishna in the city of Bombay and all over Maharashtra. The second grievance of the Petitioner is that very often on account of number of tiers, which are arranged by the performers, who are known as Govindas, every year several such Govindas suffer permanent injuries and in some case they die on account of fall from a height and no safety measures are undertaken by these performers. Their other grievance is that not only the performers, but also those who are watching these events also suffer on account of fall of Govindas on them. 3. We had asked the learned Public Prosecutor to look into the matters and he has informed us that State of Maharashtra has issued a directions after inquiry under Section 13(1) and 14 of the Maharashtra Commission for Protection of Child Rights Act, 2005. The directions have been issued in Case No. 205/2013-14 which are reproduced in paragraph A(i) to (v) of the Note submitted by the learned Public Prosecutor. (1) No person shall without the previous permission of the Commissioner or the District Magistrate, as the case may be, and except in accordance with any conditions subject to which such permission is granted hold or give in any place which is likely to cause an assembly of persons, any performance in which or during which he buries himself underground, or seals himself in receptacle or thing, in such manner as to prevent all access of air to him and for such time as would ordinarily result in death by suffocation. (2) If any person contravenes or attempts to contravene the provisions of this section, he shall, on conviction, be punished with imprisonment for a term which may extend to one year or with fine, or with both. (3) Notwithstanding anything contained in the Code of Criminal Procedure, 1898 (V of 1898), the offence punishable under this section shall be cognizable." 5. Perusal of the said provision, in our view, discloses that the said performances are restricted to two performances, viz. burying himself or sealing himself in receptacle or other thing and not to do other dangerous performances. We would request the State to accordingly amend said Section 143B in respect of "danger performances" to include such other performances, viz. 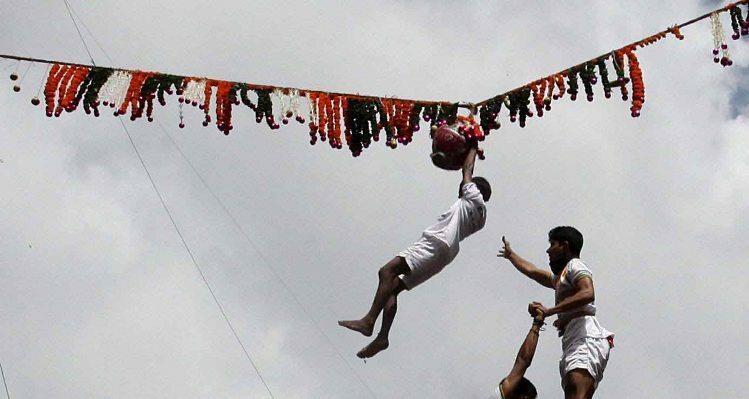 "Dahi Handi" where the height of pyramid and use of children is prohibited. We hope and trust our recommendation is accepted and a suitable legislation is brought in for the purpose of securing the safety of performers in this Dahi Handi festival. 6. The suggestions given by the learned Public Prosecutor are very important and we would like to give directions to the State to consider the same and make a suitable legislation in respect of Bombay Public Trust Act, 1950 or the Societies Registration Act, 1840, and we also direct the Charity Commissioner to suitably issue directions under Section 41C in respect of persons other than Public Trust collecting monies for religious or charitable purposes, and that a direction may be issued that whenever such monies are collected, permission of the Charity Commissioner should be obtained and the Commissioner is empowered to permit such collection to be continued subject to certain conditions which may be imposed by him. 7. Secondly, so far as heights of the pyramid are concerned, we direct the State Government to issue circular directing that height of Dahi Handi is not more than 20 ft. Thirdly, we direct the State to issue appropriate directions forthwith to ensure that the organisers of this Dahi Handi provide helmet, safety belts to Govindas and also cushion layers at the venue of the performance. Similarly, size of the cushions in terms of the thickness of the earth shall be determined by the State Government. 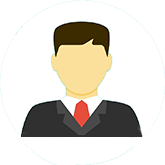 We also direct the State Government to constitute a local monitoring committee, consisting of (a) in-charge of the police station; (b) ward officer of the Corporation; and (c) the local elected representative or such other person who is respected in the said locality, provided he doesn't have any criminal record. (iv) insurance details of each Govindas. (v) Lastly, we feel that an undertaking may be obtained from the organisers that they will provide immediate medical help like, medical first aid and ambulance, necessary to treat the Govindas to move them to the hospitals for treatment. (b) Secondly mobile ambulances which have been deployed by the State of Maharashtra may also be used during these events. We hope and trust that suitable measures are taken by making adequate statutory provisions under either Bombay Police Act or expand the definition of "dangerous performances" of the act and also make suitable amendment in the Bombay Public Trust Act and the Societies Registration Act. (c) The State Government may also deploy adequate police force and/or personnel to ensure that no untowards incident takes place during such Dahi Handi performances. (d) We also direct the concerned Municipal Corporations to take adequate measures to ensure that injured are promptly taken to the hospital and given treatment. (e) We would like to make an earnest appeal to the organisers of these Dahi Handi to take into consideration the health and safety of performers first rather than going after the money which is offered by the organisers. 9. We are of the view that such kind of performances can neither be treated as acts of bravery nor can be justified for any reason, and we hope that reason and ration will prevail upon the organisers of such functions. Government may consider that if such performance is to be made at the public place, prior permission from the local police station shall be made strictly applicable. We must express our genuine appreciation to the assistance given by the learned Public Prosecutor Mr. S.K. Shinde in assisting us in these cases. 10. Since performance is going to take place on 18th August, 2014, State Government will promptly issue directions by tomorrow and wide publicity be given to the directions given by the State. 11. With these directions, all the three Public Interest Litigations are disposed of. In view of disposal of PIL No. 95/2013, Notice of Motion (L) No. 456 of 2014 filed therein does not survive and is accordingly disposed of. Public Interest Litigation - Performance on "Dahi Handi" - Children below age of 18 years prevented from taking part in performances - State requested to accordingly amend section 143-B in respect of danger performances" to include such other performances, viz. "Dahi Handi" where height of pyramid and use of children is prohibited. Government may consider that if such performance is to be made at public place, prior permission for local Police Station shall be made strictly application - Directions be issued and wide publicity be given to directions given by State.